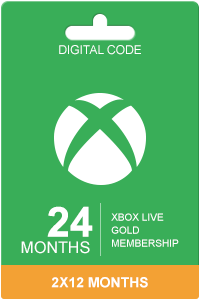 Xbox live 7 months membership. This product is a digital code, Once bought, the code will be sent to your email or can be downloaded directly from your pc screen. These downloadable codes are original codes and are produced by the developer. These codes have no expiry date. Do you want to try Xbox Live Gold longer than just a few months? With Xbox Live Gold 7 months, you are able to subscribe for longer than half a year! You benefit from special offers, and are able to use the newest features if you have a Xbox One. 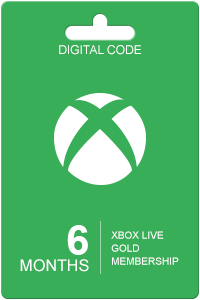 We will not send you the card, but only the digital code, making it easy for you to start using your Xbox Live account. With a Xbox Live Gold subscription, you can benefit from various offers and options. This particularly applies if you have a Xbox One. With that console, it’s easily to use Smart Match and Home Gold. Smart Match means that fitting opponents based on your gaming skills. With the Smart Match, you will never have to be annoyed with weak opponents slowing down your gaming experience. With Home Gold, everyone in your household can use a single Xbox Live Gold subscription. Even if you do not have a Xbox One, Xbox Live Gold still has nice offers. You are able to download free selected games every month, and you will get discounts on games in the Xbox store. This way, you will save money on many new games! How to buy Xbox Live Gold 7 months? 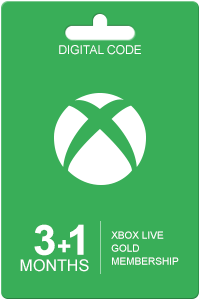 Buying Xbox Live Gold 7 months from Livecards.eu is as easy as 1 2 3! Simply fill in your email address, select a payment method and complete the payment! We have some of the cheapest Xbox Live Gold 7 months on the market.